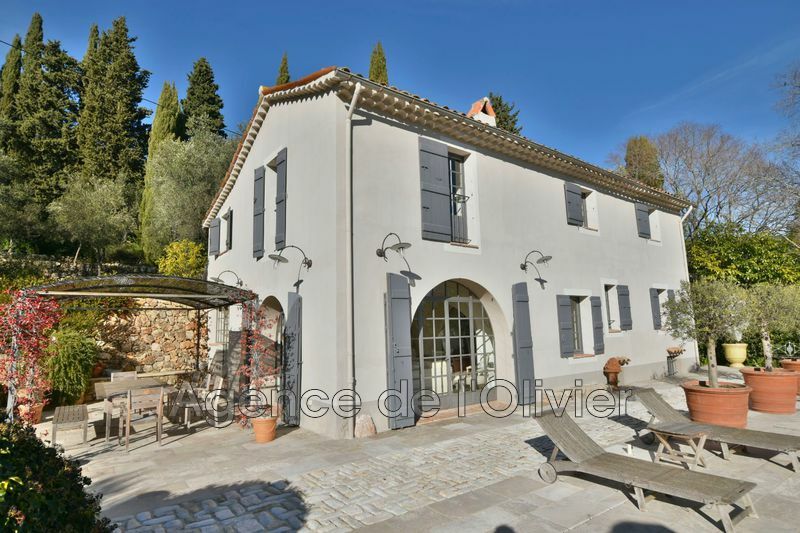 Grasse - Bastide for sale - Close to the downtown of Grasse, beautiful restored 18th century bastide on 3 levels with a countryside view. It comprises ground floor 2 living rooms opening into the garden with fireplace and library, large dining room, equipped kitchen with large windows overlooking the garden, a room (previously stable) with bathroom and toilet and cupboards. Upstairs, 3 bedrooms sharing a bathroom and toilet, a large desk and dressing. Independent apartment with kitchen, dining room, bedroom with shower room and toilet. On the second floor, 130 sqm of flexble attic. 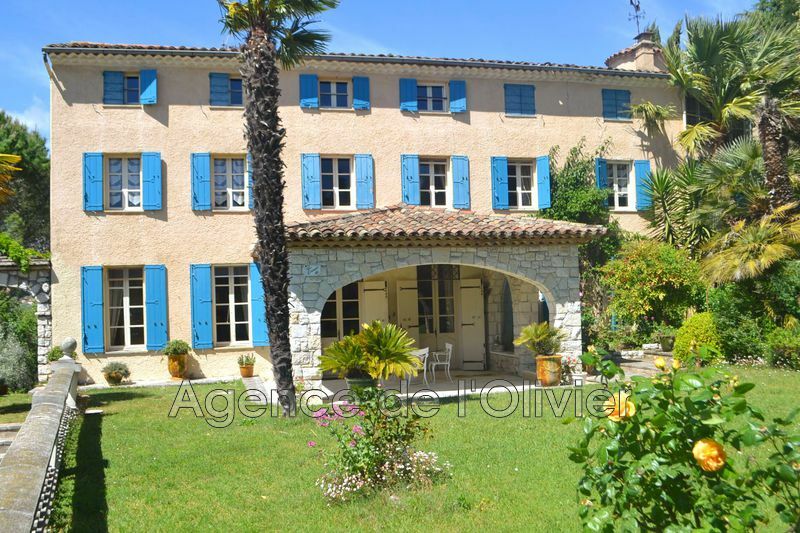 Splendid 1.7 hectare olive grove decorated with a basin swimming pool, a stone cabin, 2 outbuildings near the bastide, beautiful stone walls and pergola.